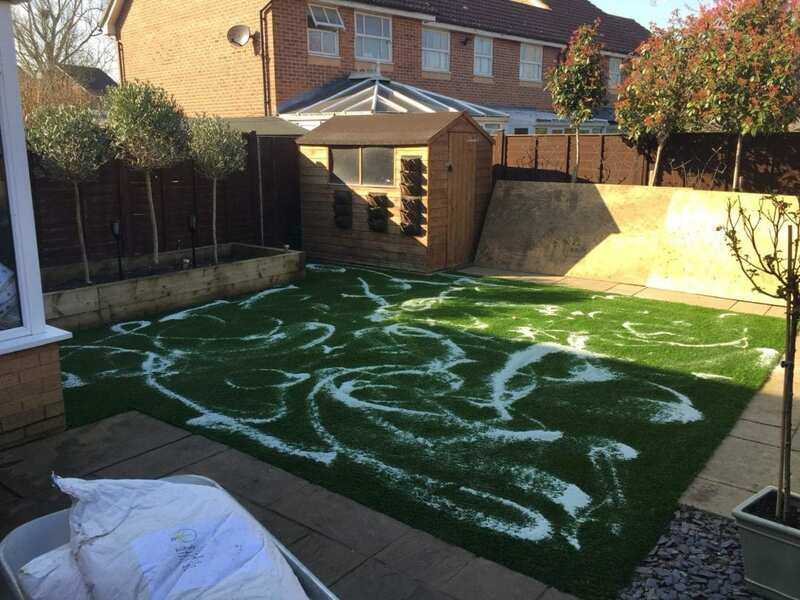 Trulawn Zeolite is the latest technological advancement in artificial lawn installation, and is designed for pet owners looking to eliminate odours from their outdoor spaces. 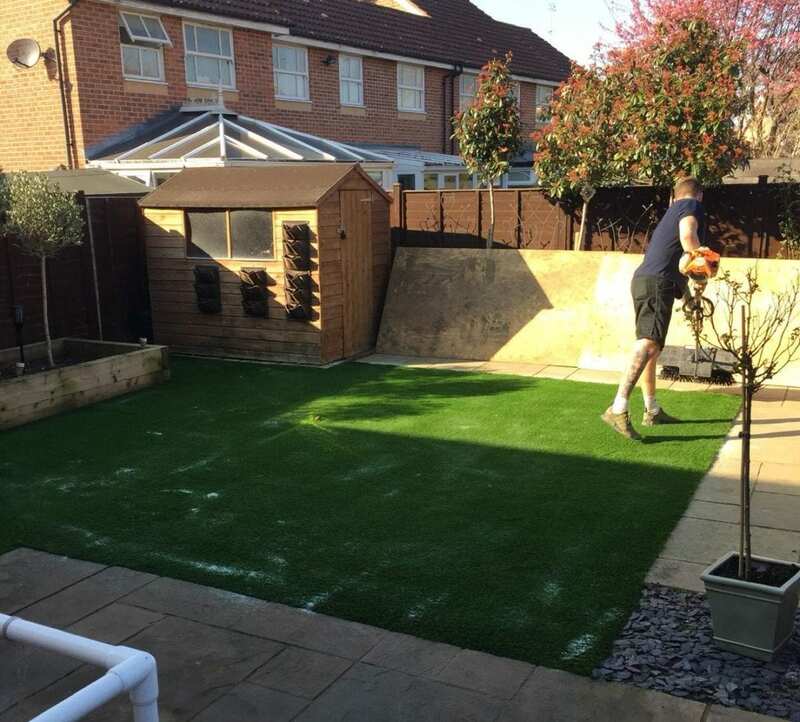 Trulawn Zeolite granules are installed on the surface of the lawn as an infill. They are brushed deep down into the pile and, due to their tiny size, they are difficult to see from the surface. We use a power brush to do this to help achieve an even distribution and to get them as close to the backing as possible. The granules absorb liquids and prevent the odorous component of urine from turning into a gas, and so by extension stop them from becoming a smell. When it next rains heavily the rain water displaces the trapped urine so that it washes deep down into the ground. So you never smell a thing! 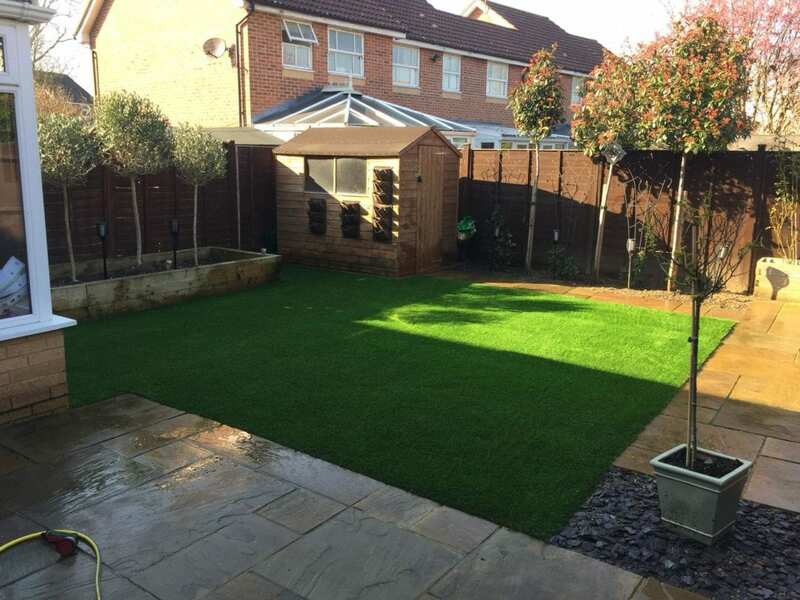 This lawn has just been installed by the Trulawn team. 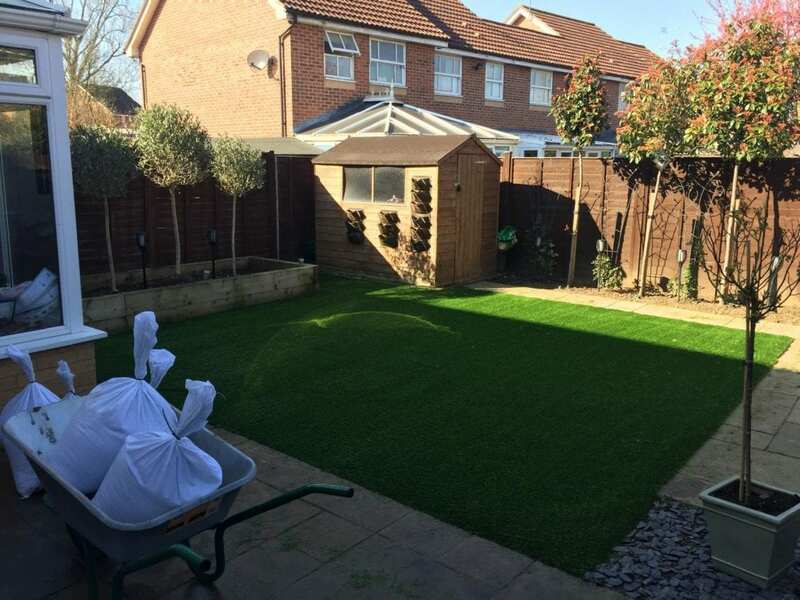 The Trulawn Zeolite is spread onto the lawn, you can use a spreader or simply empty the bags yourself. A power brush is used to brush the Zeolite deep into the pile. As you can see the Zeolite is no longer visible on the surface, but will make a huge difference to the lawn! How do I know if I need Trulawn Zeolite? Trulawn Zeolite isn’t needed for everyone with a pet. In the majority of lawns, smells or odours aren’t noticeable if you follow our basic maintenance recommendations. For some breeds of pet, or pets with a particular diet (or medication), they can have particularly strong smelling urine. If you know this is the case then you may be more inclined to choose to install Trulawn Zeolite with your Trulawn grass installation. The same is true if you have multiple pets in a small space. Trulawn Zeolite would be ideal for a kennel or boarding house for dogs where there are a lot of animals using the same space day in day out. 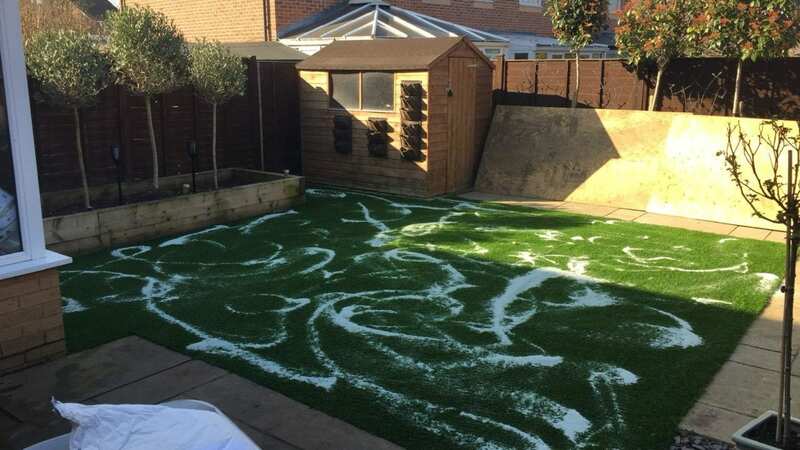 Can I still clean the lawn? To make the best of your lawn we recommend picking up any dog mess, and giving the area a clean. That way it stays fresh from bacteria as well a bit of TLC. A typical water solution disinfectant should not pose any problems to the zeolite, but we wary using any strong corrosive chemicals. Trulawn Zeolite is made from natural materials which are not typically harmful to animals or humans if ingested (but we do not recommend encouraging anyone to try it out!). Anywhere an animal is urinating should be treated with care and consideration when it comes to family use, and Trulawn Zeolite is not a substitute for sanitation. So always remember to clean up after a pet!